The entry-level SmartScope® MVP multi-sensor range maintains OGP’s uncompromisingly high standards by offering maximum performance in general measurement operations delivering optimal reliability and accuracy at an affordable price. MVP provides multi-sensor metrology that will meet any general measurement application using the same advanced software and high-quality components as the rest of OGP’s world-leading metrology range, providing the best-in-class performance making it a popular choice for manufacturers worldwide. SmartScope® MVP delivers maximum performance for minimum investment. SmartScope® MVP CMMs are available in bench top or floor standing format. Standard models are equipped with a video sensor and have the option for additional sensors such as a Renishaw touch probe or Laser for added versatility. Sprint MVP 200, 250 and 300 fits on a workbench providing stage travels as large as 12″ x 12″. Use the handy joystick to move the part and optics. Precise autofocus speeds up throughput and improves repeatability. Run programs for all your parts to keep your quality in control. 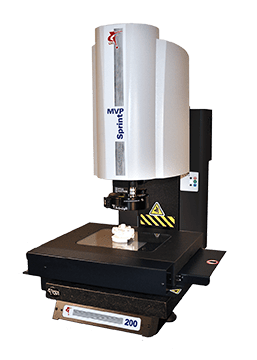 The Sprint MVP 400 floor model systems provide three-axis measurement for larger parts or assemblies and a large number of small parts at one time. Programmable zoom optics combined with all LED illumination and a colour camera provide magnified viewing up to 175x with standard optics. 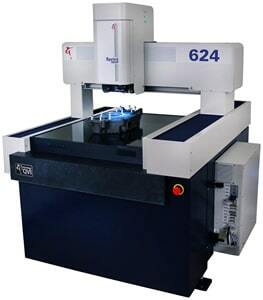 Sprint MVP 624 is a large capacity, fully automatic, 3 axis dimensional measuring system. 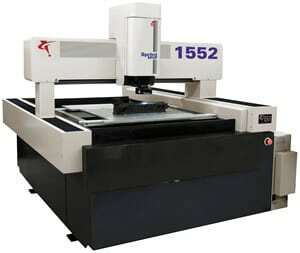 It features a high precision moving bridge and optics, for measurement of larger, heavier parts. 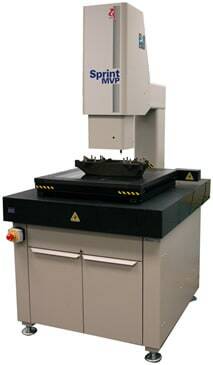 Sprint MVP 1500 is an automatic, non-contact measurement system for large parts. An impressive list of standard features makes Sprint MVP 1500 great value and a system you can trust for accurate, repeatable measurements. Automated Operation: Floor model SmartScope® MVP systems are equipped with servo-driven motorised stages and Measure -X® metrology software for completely automated inspection and/or measurement. Superior Zoom Optics: A precise 6.5 to 1 automatic zoom lens keeps images in focus and on-axis throughout the zoom range. Optional screw-on lens attachments expand the magnification range. Large Measurement Volume: A value engineered large XY travel stage features robust bearing design and performance, for confident measurement for large parts. 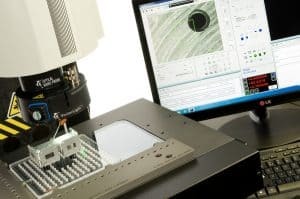 Multi-Probe Capability: Use the optional laser or touch probe to access difficult-to-image or otherwise inaccessible features, to more fully characterise parts in a single setup. Please contact us via the contact form for a brochure.